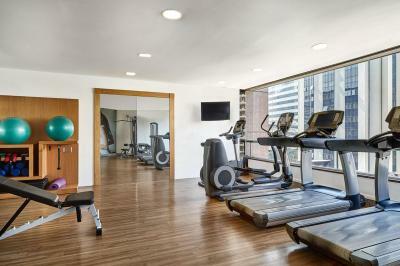 Lock in a great price for Sheraton São Paulo WTC Hotel – rated 8.5 by recent guests! The person who did the check in was not very nice, but all the others were great, specially the barman and the person at check out. From the check-in to check out the service was absolutely superb! Nice location, just directly connected to D&D shopping, and it was really easy to find the restaurants. Staffs were kind and friendly and good enough to provide any kinds of services. 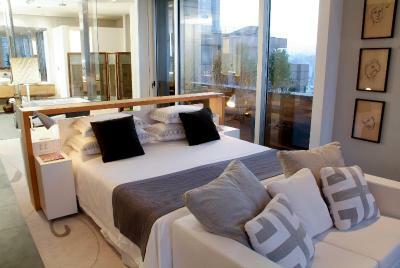 Spacious room, comfortable bed. Good airconditioning (not noisy). Wifi OK, but a bit slow. 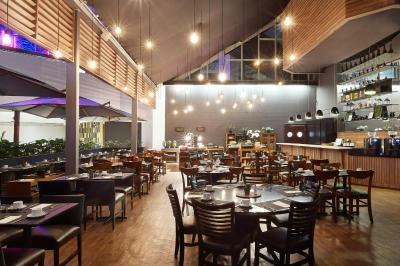 Good is a direct connection to the shopping centre with a good selection of reasonably priced restaurants. I never slept better! The bed was amasing and bed linen was very soft! The staf on reception was very helpful and friendly! I never saw such attention before. And they resolved all my problems very quick! 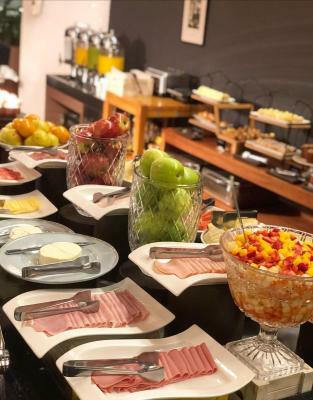 Wonderfull breakfast! Me and my wife were celebrating our anniversary and the service was excellent. The Hotel gave us a upgrade to a great room. The facilities were very good and the staff very helpfull. Need a car/uber because the location is in a comercial/business area and is a little far from the places we went. Service was very good, and unobtrusive. Staff were especially helpful tracking down my lost luggage! 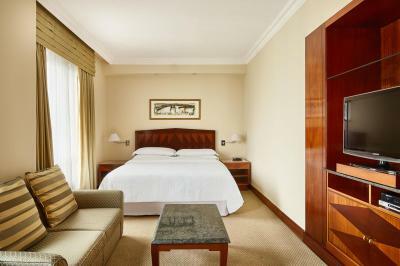 Sheraton São Paulo WTC Hotel This rating is a reflection of how the property compares to the industry standard when it comes to price, facilities and services available. It's based on a self-evaluation by the property. Use this rating to help choose your stay! 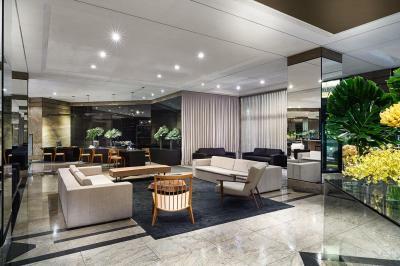 One of our top picks in São Paulo.Located inside the World Trade Center, Sheraton São Paulo combines modern architecture with luxury interiors. 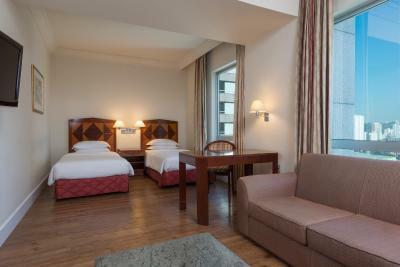 Facilities include a swimming pool, a gym and a state-of-the-art business center with meeting rooms. 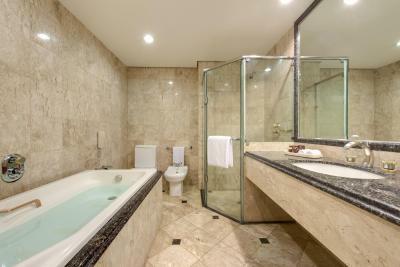 The air-conditioned rooms at this Sheraton hotel feature free WiFi, cable TV, mini-bar and private bathroom. Room service runs 24 hours a day. 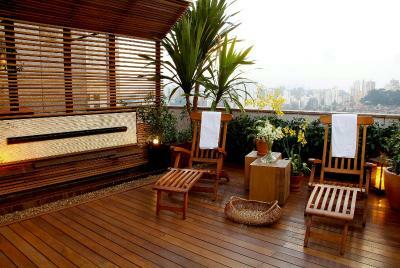 For the ultimate indulgence, Sheraton São Paulo WTC Hotel offers a 24-hour helipad. 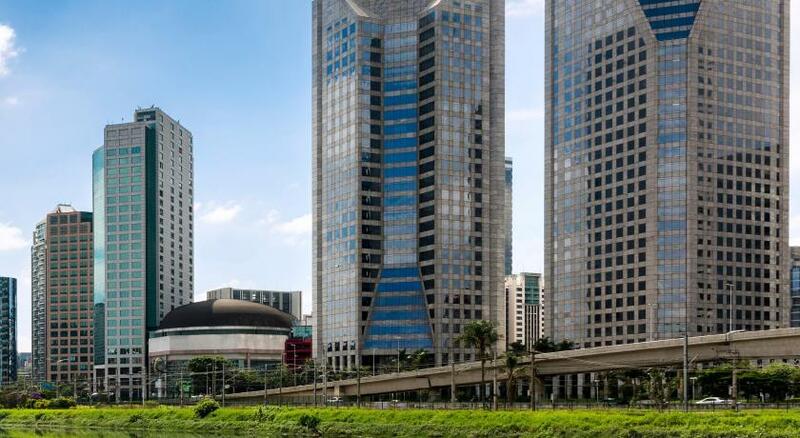 The Sheraton WTC Hotel is located in the Brooklin district of São Paulo, next to the D&D Mall and 3.4 mi from Morumbi Stadium. 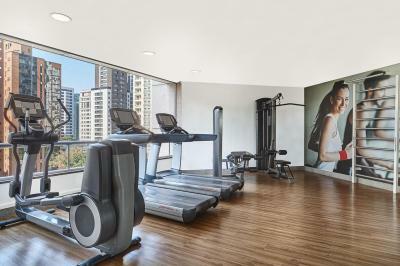 When would you like to stay at Sheraton São Paulo WTC Hotel? 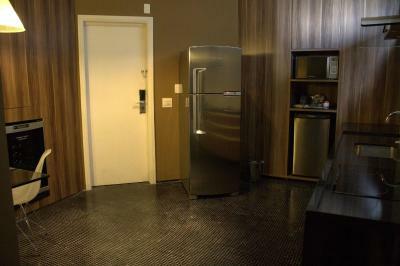 Private parking is available on site (reservation is not needed) and costs BRL 55.65 per day. 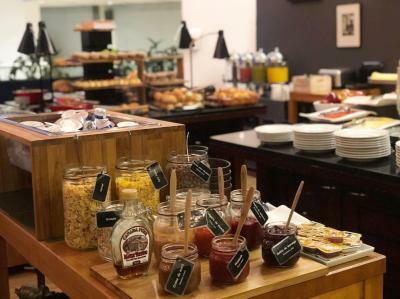 House Rules Sheraton São Paulo WTC Hotel takes special requests – add in the next step! 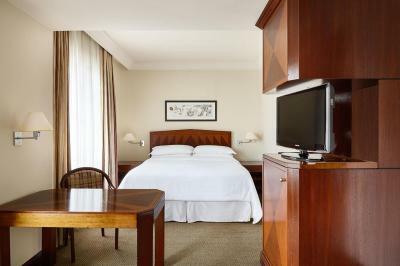 Sheraton São Paulo WTC Hotel accepts these cards and reserves the right to temporarily hold an amount prior to arrival. 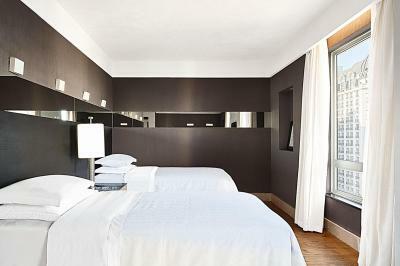 Please note that bar, mini-bar, room service and restaurant expenses are excluded and charged at check-out. Please note that early check out is subject to the hotel's rules. Please contact the property for further details. Please note that the pool is currently closed due to maintenance. Please note that the Club Lounge will be closed from March 28 to March 31, 2019 and from April 27 to May 01, 2019. 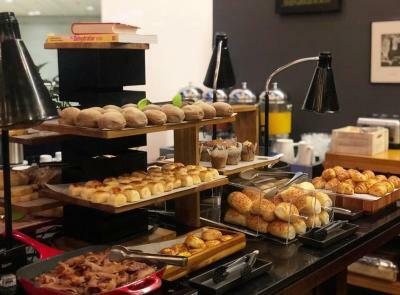 During this period, guests from the Club Lounge will have access to the Executive Lounge. Please note that the Executive Lounge will be closed from February 28 to March 10, 2019. Swimming pool was under renovation. Maintenance problems... lot of things looks like old or stained... dirty wall, dirty floor inside bedroom... smell bad. The bathroom is a bit obsolete and worn-out, would deserve renovation as concerns technical aspects (water both in shower and bathtub too hot, the temperature cannot be adjusted properly). Small fitness center due to renovations. No pool, due to renovations. Location, closeness to meeting center. I asked for a quite room. Could not sleep the first night because of the Ice Machine. Then moved to a second room. Not only there was a leak dropping water from the roof, but also the elevator noise did not let me sleep at all. Though I booked through Booking.com like the other parents, I seem to keep getting the room with the worst back end view every time. I don’t understand why. The Message button on the phone flashed constantly even though there were no messages. I asked on Thursday for it to be cleared but by checkout Sunday evening it still had not been done. An annoying flashing in the night. А magnifying mirror in the bathroom would be better if it hung on the wall. It needs to lean and light is not bright enough to use this mirror. The iron flat did not work well. I think it would be easy to ask for a replacement, but I did not want to contact with anybody and prefer everything would fix proper. The noise from cleaning staf in corridor lasts through over a day. But this is so minor detales more interesting for the hotel itself then to the travellers. Room little old . The outlets were not working to charge the phone. I found only 1 working outlet. O HOTEL ATENDEU AS ESPECTATIVAS .